Something that gets the hands at the Darwin Ranch on the prod is when someone mentions the Cambrian Explosion. The Cambrian layers were supposedly formed hundreds of millions of evolutionary years ago, but there's a passel of fully formed creatures, mostly invertebrates. Evolutionists admit that the Cambrian Explosion is a problem for them, and make weak attempts to explain it away. Some of the cant from anti-creationists is simply dismissive, such as, "The Cambrian? You mean that era which contained nothing but small marine organisms?" If such a remark is serious, it indicates a lack of knowledge of fossils and also the Darwinian mythology that the user espouses. (I reckon that those folks feel compelled to contradict creationists, even when it means contradicting evolutionists as well.) Paleontologists and other fossil hunters expect to see marine organisms, since those comprise the overwhelming majority of all fossils. (Interestingly, there are comparatively few fossils found in layers of the Grand Canyon.) Again, those found in the Cambrian layers are fully formed, not looking like they're in the process of evolving into something else. Fossils, including the marine kind, are found on all continents. Many are preserved exceptionally well. Some Cambrian fossils have been found in higher layers (oopsie! ), which further troubles Darwinists. These facts add support to the global Genesis Flood and creation science flood models, and are not friendly to evolutionary, deep time assumptions. 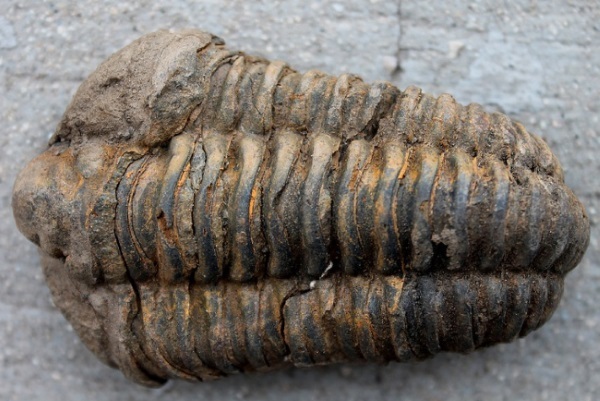 One of the icons of evolution should not be used: the trilobite. With advancements in technology, scientists have learned through their fossils (a fact that amazes me) about advanced optics of the critters. You'd think evolutionists would quit while they're behind, but hope springs eternal. Newer finds show that they had unique digestive tracts, and require revision in evolutionary ideas. Trilobites were fascinating invertebrates that inhabited pre-Flood ocean bottoms. They were fossilized when “primitive” life supposedly was just getting started, but the complexity of these animals is unparalleled. New trilobite anatomical discoveries contradict previous evolutionary beliefs about their digestive systems. According to evolution theory, trilobites appeared fully formed about 540 million years ago in a period called the Early Cambrian. There are about 56 families of these extinct creatures. Not only did they come in a wide variety of sizes, they also had three kinds of extremely complex eyes. Cosmic Alchemy and Stellar Gold?